Encourage your finest to stay the course. The Bearing clock comes in a black piano wood box with striking silver accents. 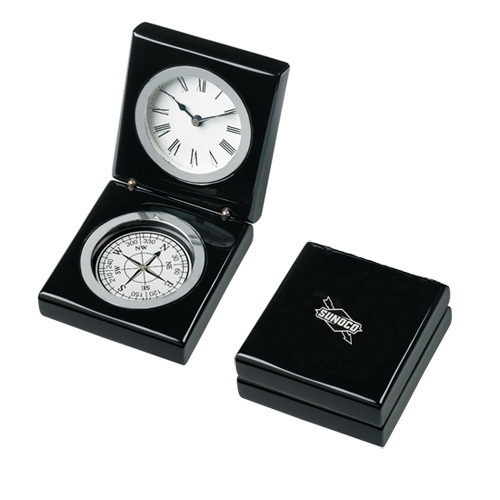 Opposite the clock is a matching compass; ensuring recipients will always "find their way". Elegant Roman numerals and a second hand complete its display. 3 1/2 " x 3 7/8 " x 1 3/4 "
Bulk / 32 lbs. lbs / 40 pcs. / 20" x 16" x 14"box.